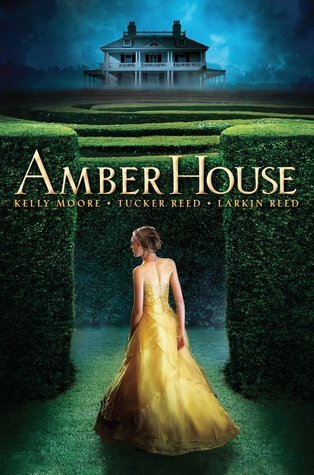 Sarah Parsons has never been to Amber House, the grand Maryland estate that’s been in her family for three centuries. She’s never wandered its hedge maze or explored its secret attics; she’s never danced in its ballroom, or hunted for the diamonds said to be hidden in its walls. But as Sarah, her brother, and their icy mother settle into Amber House, she finds herself drawn to both handsome Richard, who introduces her to a world of wealth and privilege, and intriguing Jackson, who dares her to find the diamonds. She discovers she can see visions of the mansion’s history—like her mother as a young girl, unimaginably warm and happy, or the cruel sea captain who lost the jewels long ago. Piece by piece, she uncovers the secrets of Amber House: its ancient crimes, and its fresh betrayals. Where are the diamonds? Who caused her mother’s unhappiness? And what tragic act still echoes through Amber House? Sarah needs answers soon. Because when her visions threaten the person she holds most dear, she must untangle the web of the past before it traps them all forever. Amber House starts out with a funeral and Sarah coming to the house for the first time. Her grandmother has just died and Sarah, her little brother Sam, and their mother are there to take care of last minute details and sell the house. Sarah quickly meets Jackson, a boy who tells her about the Amber House treasure and together they start on a journey of the house itself. Sarah also meets Richard, the handsome rich boy next door who takes an interest in her. The story unravels in dozens of twists and turns, full of mystery and family history. I have to be honest, I fell in love with the premise of the story the moment I read it. I thought it sounded like a wonderful story, just up my alley, and the cover blew me away. It was exactly how I pictured it. Nice package right? Sadly, the story itself wasn’t what I expected. For me, sometimes, it was difficult to get into what was going on because the scene changes were almost every other paragraph. It read a little bit choppy and some part didn’t seem to finish before a new section was introduced. I think that was my biggest struggle with this story. Overall the characters were interesting. Sarah is a nice enough character, even while she seems a little lost a lot of the time. She discovers some things throughout the book and it seemed that she didn’t freak out as much as I would’ve thought a normal person would (I know that may sound weird, but I think you’ll see what I mean after you read the book). The two boys in the story, Jackson and Richard, were interesting enough as well. However, it seemed that there could’ve been a bit more development of their characters. Like I said, most chapters didn’t seem finished to me, Jackson and Richard felt the same. My favorite part of Sarah’s relationships was her relationship with her little brother Sam. I thought that was very well written and I loved having Sammy there to kind of give Sarah that aspect of her personality. Honestly, this book was an interesting read. The last few pages were very involved and I loved that more then the rest, I think. The ending definitely left me wondering about book two, which is always a good thing. I very much enjoyed the entwining of family history and the relationship that Sarah developed with her past. I thought it was clearly written and beautifully told. While I didn’t love it as much as I hoped, I think this book deserves to be read at least once! It comes out September 1st, 2012! PS Would love to hear your thoughts! Got the ARC for this a few days ago and haven't finished it yet but so far I'm really drawn in. I actually had the exact opposite reaction to the pacing that you had. There's a lot going on, lots of characters and cut-scenes, lots of clues, and I can see where it might be hard to follow or invest if you wanted to focus more on the setting instead of the characters and what they're saying to each other. Maybe I'm more of a mystery-fan in that way, where the vagueness of everyone and the hazy motives appeals to me and makes me want to read more. As far as the collaboration element, what surprises me most is that so far it definitely doesn't read like three different writers, even though it's all narrated by one character.